How to play the Number game!!!! 1. Login to your 12BET account. 2. Select the "numbers game" on the sports menu located on the left side of the page. 3. After clicking Number Game you will see the odds that we have and you may watch pretty ladies dance and sing LIVE for FREE!!! 4. 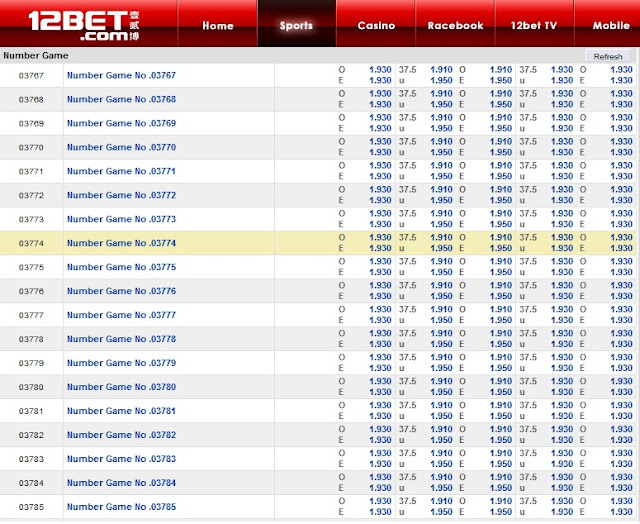 Bets on playing number games is counted as your turnover for Sportsbook.